Today I acted on a recent decision to put my money where my mouth is. I decided to quit griping about illiteracy and do something about it. Beginning this month, The Mighty Copywriter will donate four percent of all profits to Washington's literacy council, DC LEARNs. DC LEARNs provides materials and training to literacy programs throughout the city and works with them to recruit volunteers and reach out to new learners. 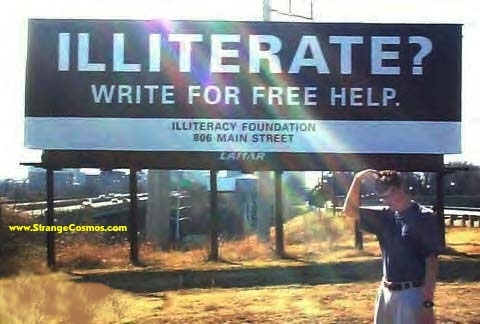 Illiteracy is terrible social problem. It affects people’s health, employability and chances to participate as full citizens. And it's a growing problem. According to the US Department of Education, a whopping 44,000 people join the nation's ranks of adult illiterates every week. Hundreds of these folks end up living in Washington. Right now, one in five DC residents has low literacy skills. By contributing to DC LEARNS, I hope to give literacy in our nation's capital a little boost. Helping to solve a social problem feels good. And I hope that feeling will be shared by the clients who work with me.